Still on the pneumatics mood, I've decided to bring this week, another fully automated pneumatic model. It is a fantastic module for any GBC display. 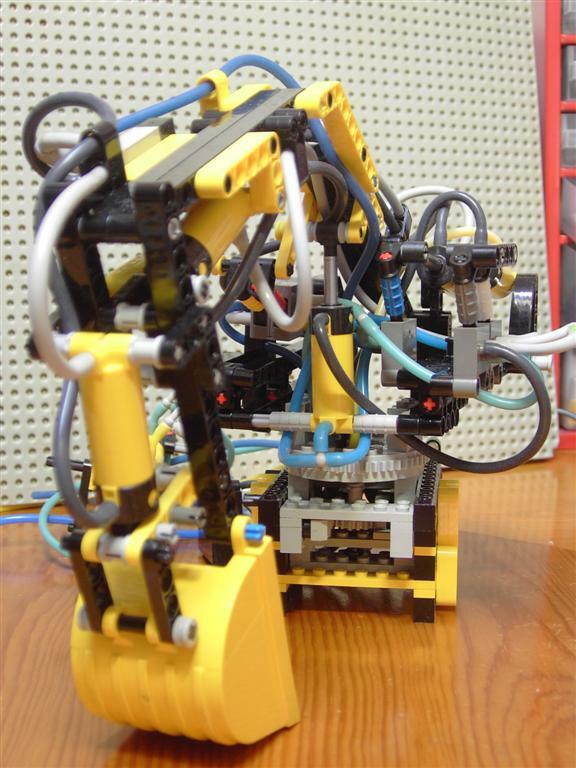 An automatic closed loop pneumatic excavator, built by Jetro (linmix), a veteran Hispalug member. It is something I had the chance to see working live, during last December, at the 2nd Hispabrick in Barcelona, and which really amazed me! Jetro has also some extra photos from his model, at this Brickshelf folder. That's brilliant thanks for posting! Indeed! That's functional and very compact and good looking! Woah ! very good ! But too slow for real GBC. I'm sure you can make it move faster, anyway it should be enough if there aren't too much balls coming. GBC specifications requires a 1 ball/sec rate. You shouldn't be too far.